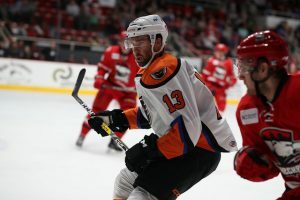 Charlotte, NC – It was the 300th game all-time since the arrival of the Phantoms to the Lehigh Valley four seasons ago but the Charlotte Checkers prevailed in a 6-1 decision on Wednesday night at Bojangles’ Coliseum. 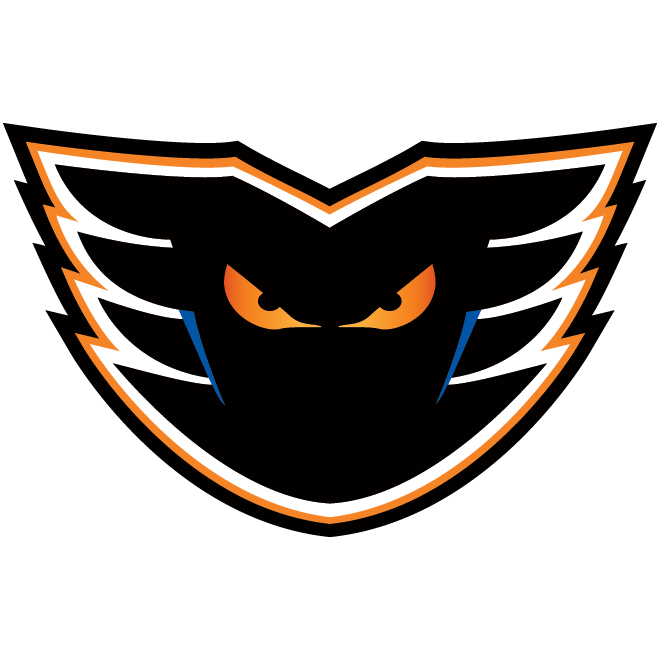 Colin McDonald (7th) registered the lone tally for the Phantoms while John Muse battled his way through for the whole stretch. 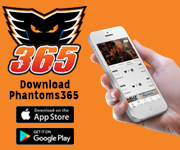 The Phantoms out shot the Checkers 31-24 but rookie goalie Callum Booth turned aside 30 Lehigh Valley shots in recording his first-ever AHL win. 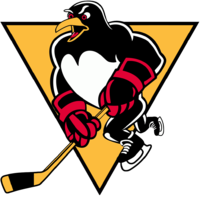 Nicolas Roy led the attack with a four-point effort including a goal and three assists while Andrew Poturalski scored a pair of markers for the high-flying Checkers who closed the gap on Lehigh Valley for highest scoring team in the AHL. 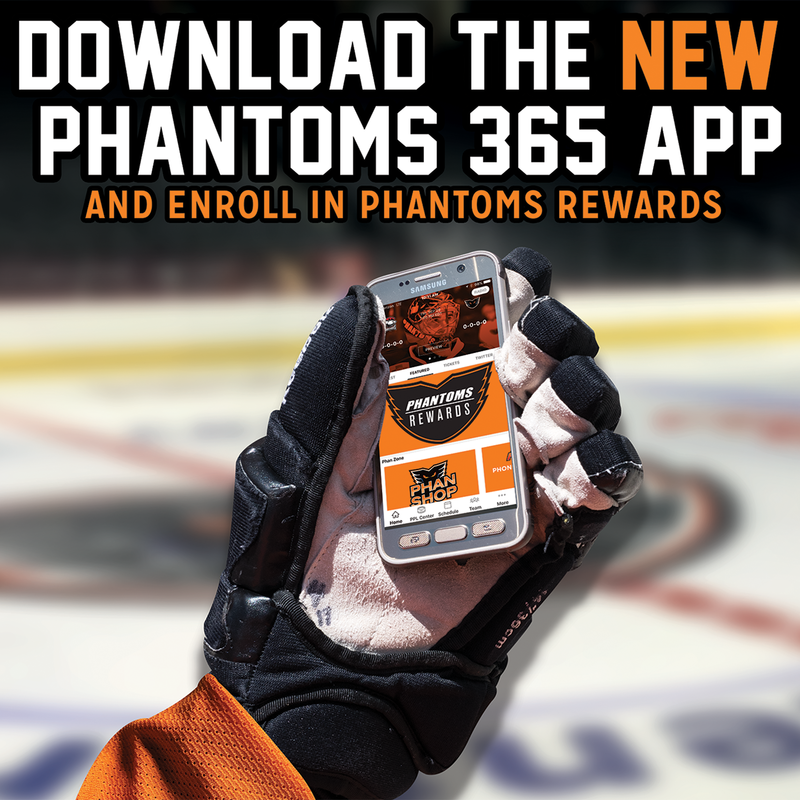 The Phantoms now have two more total goals than Charlotte at 245 to 243. 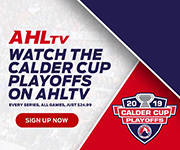 The two most prolific offenses in the circuit could potentially meet in the opening round of the Calder Cup playoffs in a couple weeks but there is still much to be decided and conceivably more standings-jockeying to take place in the remaining four games of the regular season. 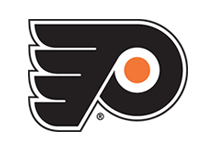 Lehigh Valley has the second-fewest losses in the American Hockey League with an overall record of 44-19-9. Only the Toronto Marlies with 18 losses have the Phantoms beat in that category. 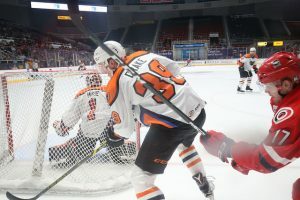 The Phantoms two-game losing streak is their longest of the season for regulation losses and the back-to-back setbacks at Charlotte represents only the third time this season the Phantoms have played consecutive games without a win or standings point. 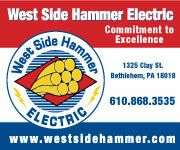 It was also the first time since January 6th and 12th that the Phantoms had dropped two straight regulation decisions. This was the first time all season that Lehigh Valley had lost on consecutive days. 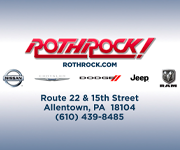 Lehigh Valley surged out of the gates with several terrific chances on Booth and a 6-2 shots advantage. It was a strong start for the visitors but by the midway mark of the opening period the Checkers started to turn the tables on the Phantoms with a pair of deflection goals. Roy’s shot in the slot appeared to go off the stick of a Phantom on its way to tumbling over the shoulder of Muse for a 1-0 lead at 9:24. Then defenseman Trevor Carrick’s center-point slapshot would be smartly redirected between the circles towards the right post by NHL veteran Marcus Kruger for a 2-0 advantage at 14:06. Less than three minutes later, Roy rushed into the zone with a 2-on-2 and neatly set up Sergei Tolchinsky for a 3-0 lead into the first break. 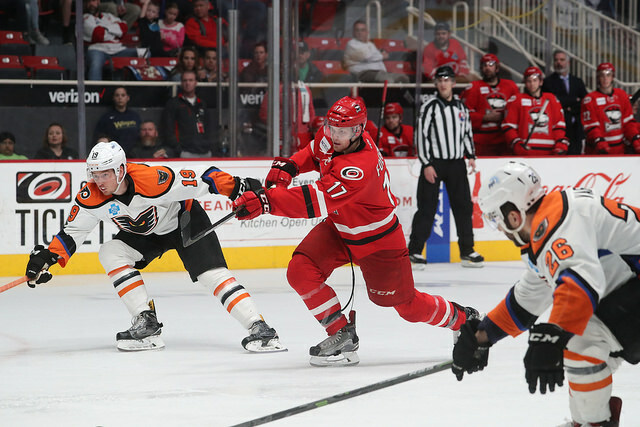 Lehigh Valley was ready to start a big comeback push in the second but the tone changed when instead the Checkers struck again with Poturalski’s 4-on-3 power-play marker from the left circle in the opening minute for a 4-0 lead. And then Dennis Robertson struck for his second of the campaign at 6:32 to boost the advantage to 5-0. 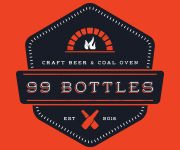 The Phantoms broke through at 16:06 when Danick Martel intercepted a cross-ice pass in the neutral-zone and started a power-play rush quickly back to the Charlotte end where he fired a pass from the left wing perfectly onto the tape of McDonald for the chip to the top shelf knocking the water bottle. Charlotte concluded the scoring in the opening seconds of the third period on nifty passing in the Phantoms zone setting up Poturalski’s 22nd marker of the season and second of the night. Lehigh Valley finished 1-for-5 on the power play while Charlotte succeeded at 2-for-5. 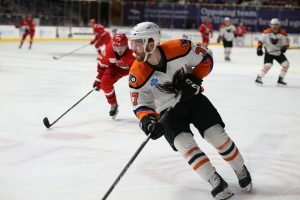 The Phantoms’ four-game road-trip continues on Saturday night at the Hartford Wolf Pack and on Sunday afternoon at 3:00 p.m. at the Providence Bruins.